» SEO Ranking Factors in 2009. SEO Ranking Factors in 2009. 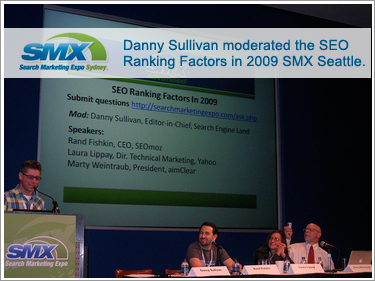 This session included some great insights on key 2009 SEO ranking factors. We also manage to interview Rand after the session. Thank you so much rand for sharing inslights and helpful tips for all the SEO’s. .
Rand Fishkin shared details based on the recent survey SEO moz conducted where they matched expert opinion with real data. 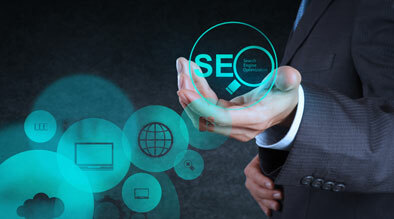 Survey is based on 70 + SEO worldwide and from data correlation. Here is the Bullet point suggestion list based on the survey and data compilation. Most important ranking factors are URL, Title and Alt Text. If you base it solely on SEO, keyword should be used at the beginning of the title tag. Having title tag starting with keyword phase and images with alt tag utilizing keyword tag have high correlation. Correlation is not causation. Just because you have great alt tag does not mean that you will rank high. It only means that sites which has both i.e. title tag and alt tag with keyword phrase seems to rank high. Keyword tags is not used at all. Meta tags is used but not that much. Importance of keyword usage in different part of url – Utilizing keyword any where in the url either domain, url or any where helps in ranking. Hi Tags – Should be done utilizing keyword phrase but has very little effect. Freshness of the content, recency of the page creation has huge impact. HI validation has week impact. Static URL performs better than dynamic URLs. Number of linking domain has impact on ranking. Laura Lippay from Yahoo stated that key factors are not only meta tag optimization, affiliate networks, inlinks, keyword density, but also include sites being viral, having buzz, getting link, and being your own linkbait. She discussed how great product is the fundamental for high ranking. She gave example of knitting world and knitting life and how knitting life will do so much better because its viral nature and it has capability to upload video, share photos and having site which is viral in nature. It shows and explains some if not all the points that matter when it comes to good SEO practices. A quick question: have you thought about posting this sort of article to some article sites like: ezinearticles.com? This is a very fine piece and I think a lot more people will find it useful. Thanks for reading. Yes we do some time.. We will try to submit more..